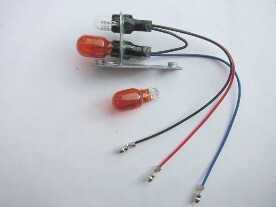 Two styles of bulb holder internals which will fit into both types of MG side lamps, i.e. the Lucas 1130 body and the art deco octagonal lamp bodies for the K Type and for the P and N Types. Please state 'conversion' or 'standard' when ordering. 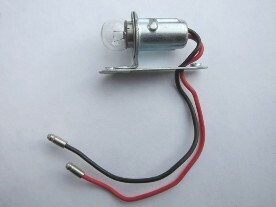 We also carry spare bulbs for all lamps that we supply.